"Perfect for Spring Summer and beyond – the Matte Bronzers have arrived! Achieve a natural and healthy looking complexion using any of the powder bronzers available in five russet shades. Perfect for that desired honey glow all year long!" 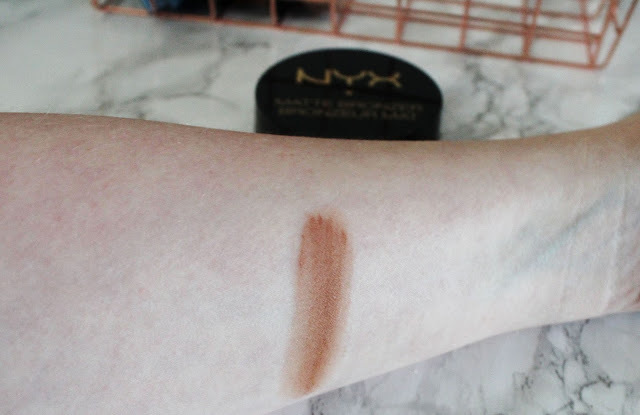 Here is my experience with the NYX Matte Bronzer. I really like this bronzer. It is really soft and smooth for a drugstore product. It isn't chalky or cakey. It applies well. 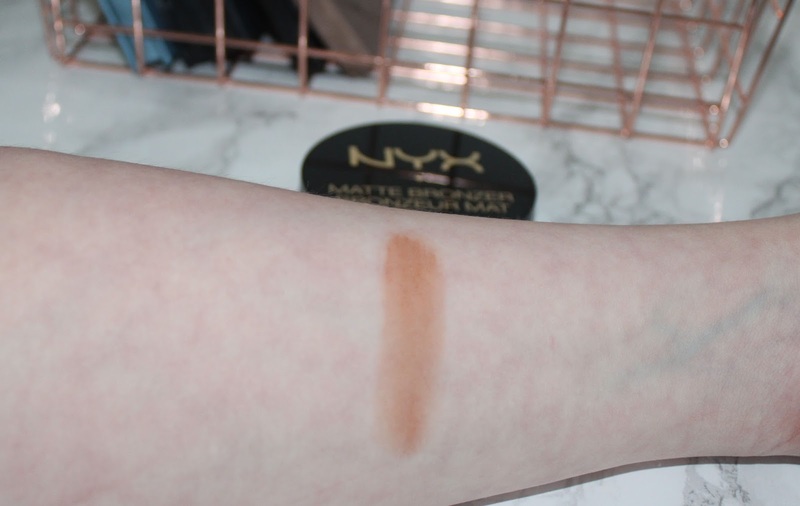 It applies evenly and blends and builds well. I really like the color. I have the shade medium. It is warm without being orange on me. It isn't too dark for me. I want to try the light shade to see which I like better. I do remember when swatching them in the store that light is more cool toned. Where as medium is warm. Which is why I picked medium. I like warm bronzers more. 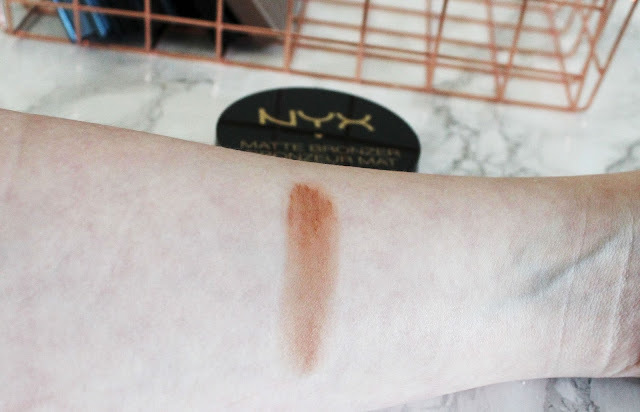 For some reason the swatch looks a little patchy. It doesn't look like that on the face at all. 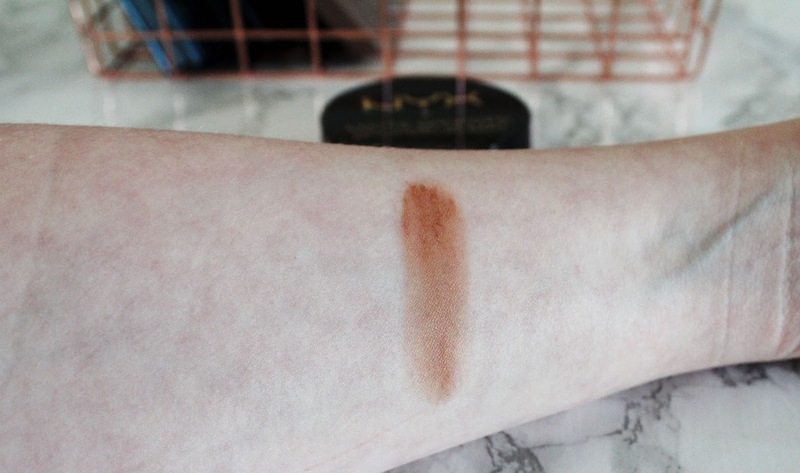 The bronzer wears well and lasted the day. It It didn't cake up or flake off. 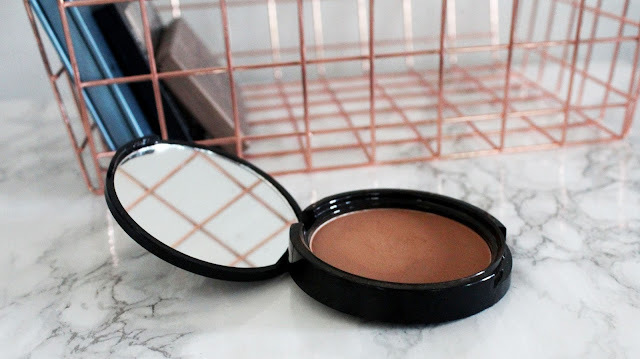 I think it is a great drugstore alternative to Urban Decay's Beached Bronzer. Was it worth the hype? I didn't really hear any hype about this before I bought it. But it definitely deserves so hype. It's a drugstore holy grail! Was it worth the price? $9 at the drugstore might seem a little high but I think it's worth it. It isn't a perfect copy or UDs but it's pretty close. And $9 beats $28. 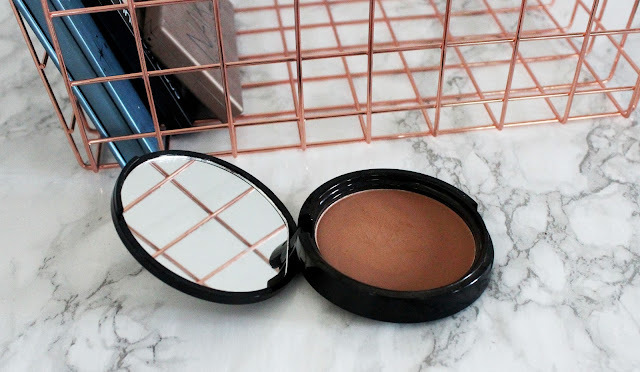 All in all I love this bronzer! It is amazing for the drugstore! It's soft and smooth! It's warm without being orange and it wears beautifully! 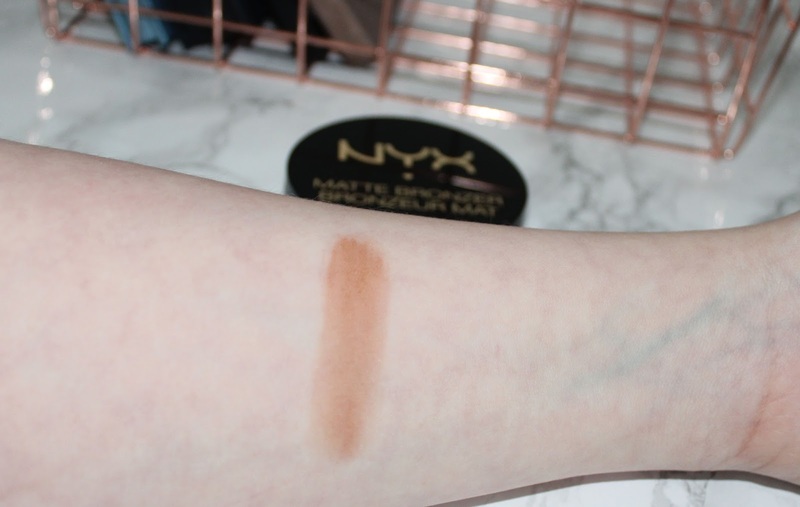 It wears for a decent amount of time and doesn't look cakey or blotchy. That's it for this review. Thanks so much for giving it a read! I hope you enjoyed! 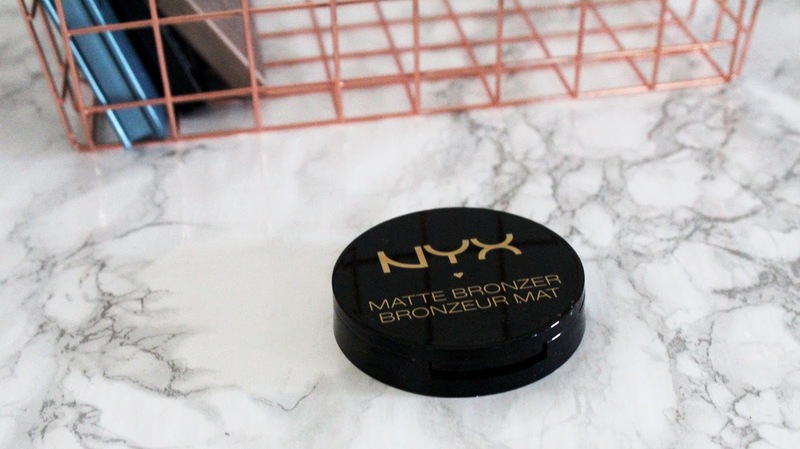 Have you tried the NYX Matte Bronzer? What did you think? Let me know your thoughts in the comments below!